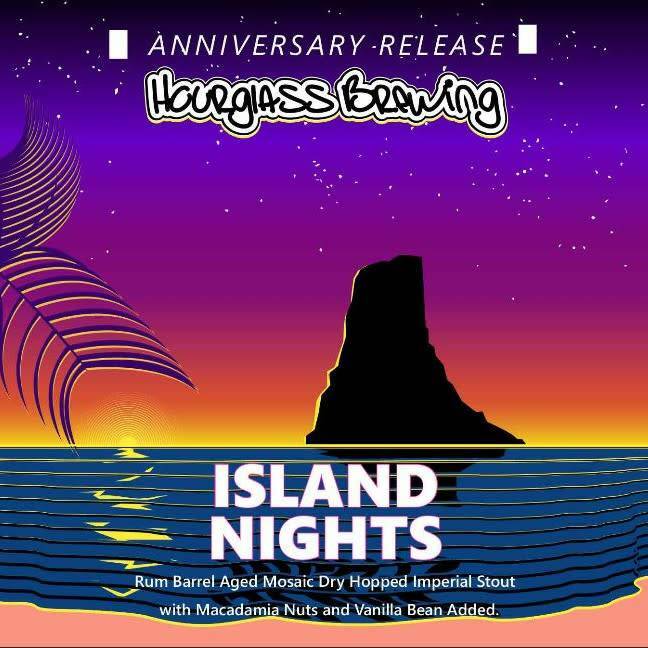 "Island Nights is a rum barrel aged imperial stout crafted to celebrate tropical island flavors. Flaked oats and roasted barley give the beer a smooth full mouthfeel with flavors of freshly roasted coffee and dark chocolate. After primary fermentation, the beer was racked into freshly dumped rum barrels with Hawaiian grown macadamia nuts and Madagascar vanilla beans. Shortly before bottling, the beer was dry hopped with mosaic hops to add a bright, character similar to ripe pineapples. 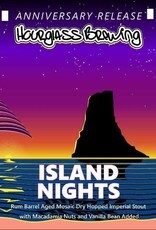 All these flavors come together to make a sweet, rich beer that is bursting with island flavors."